When I arrived at Ford on April 28th, 2016, I was met in the parking lot by a very nice guy. 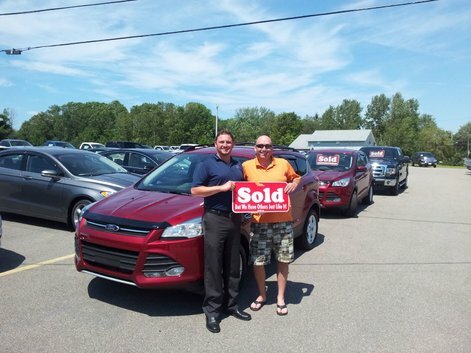 Nathan assisted me with trading in my 2013 vehicle for a 2016 model. I had a very good experience with all those who helped me today. Thanks! I would like to say it was a pleasure trading up from my fantastic Ford Focus to a new Ford Fusion, Alain and his team made this an easy transition and was very professional in our dealings. 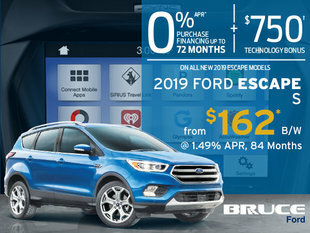 I recommend Bruce ford and especially Alain Doucet and the team there to anyone looking for any used or new vehicle. (Also managed to get a nice used car for my son that I know will keep him safe and driving this winter and more to come). Derek Trefry was ready to do business right from the start, and from start to finish it was a very friendly + happy place to be.